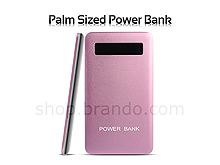 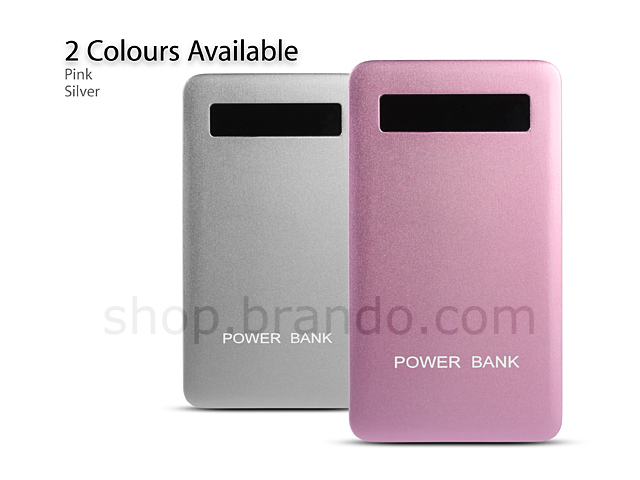 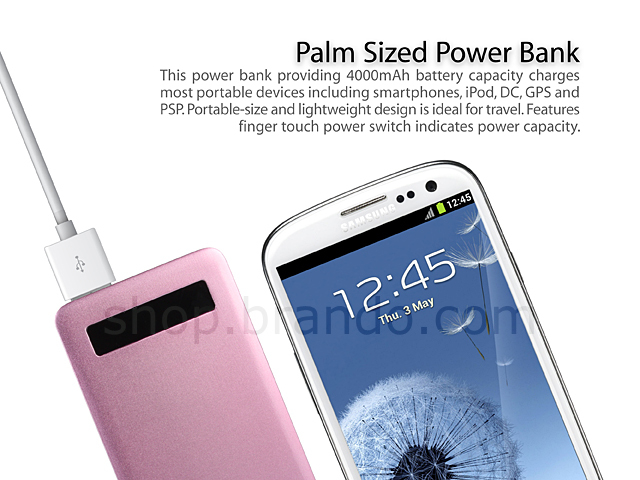 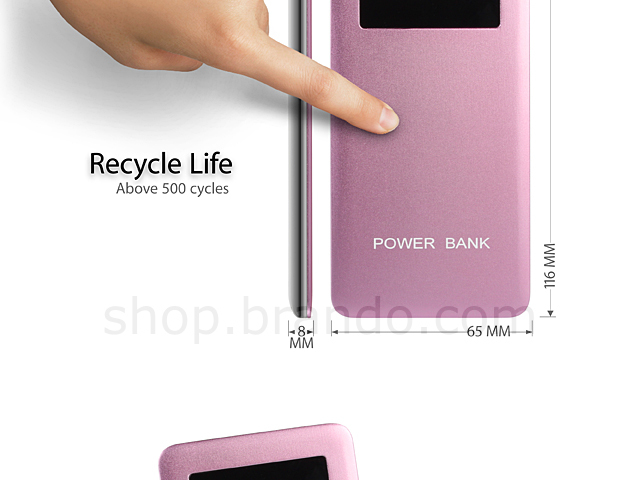 This power bank providing 4000mAh battery capacity charges most portable devices including smartphones, iPod, DC, GPS and PSP. 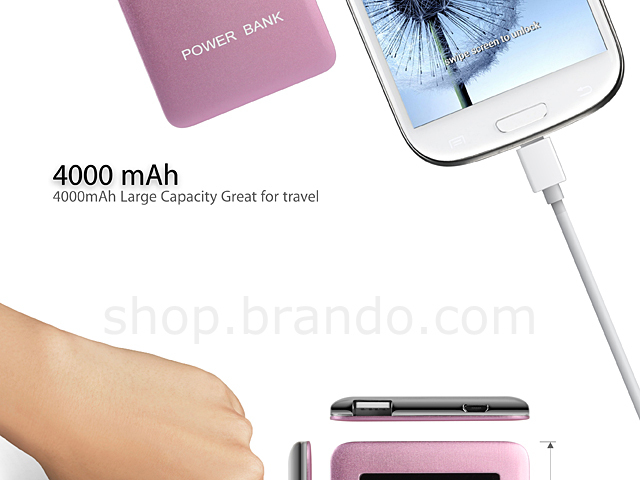 Portable-size and lightweight design is ideal for travel. 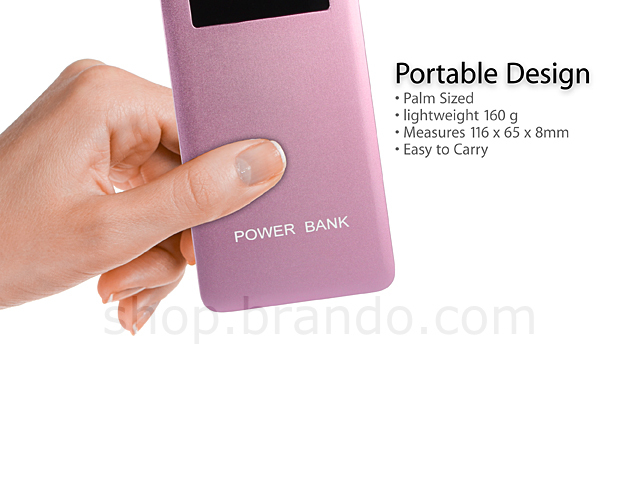 Features finger touch power switch indicates power capacity.